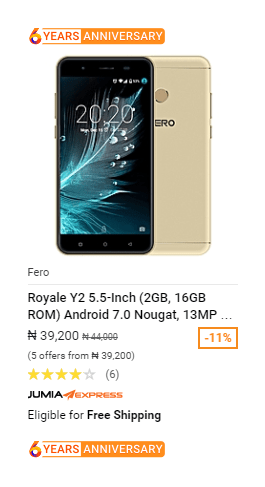 Jumia is celebrating their 6th year anniversary with a lot of discounts as usual. This year they have called on everyone to come and Salebrate – Moving Forward Together Jumia Anniversary. 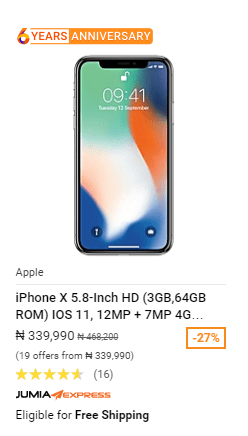 As we have been watching the deals, we want to point you to the phone deals that might interest you. 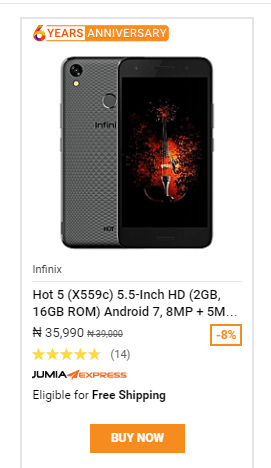 When going through the list of phones, make sure to check the Jumia Anniversary tags on the products. 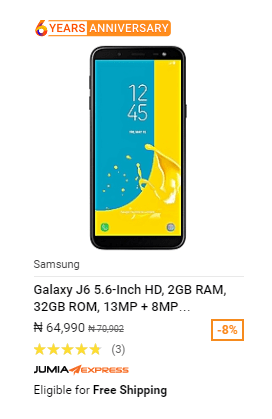 If you have been trying to get these phones are the prices had been the problem, this is an opportunity for you to buy your desired phone at the best rates. 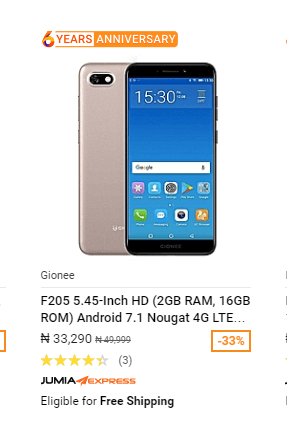 Asides from these five phones, there are more deals you can take advantage of.